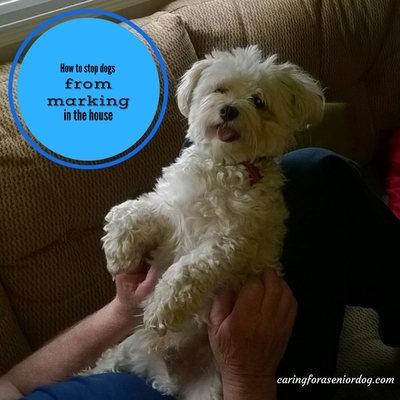 If your dog likes to lift his leg indoors, then how to stop dogs from marking in the house is a must read. Urine marking is done in small amounts, usually to an upright surface – although horizontal surfaces work well too! It’s always good to rule out medical reasons, by having your dog checked by a vet. No, they don’t. It seems fixing a dog when they’re fairly young, makes it less likely they’ll mark. Unfixed males are bigger culprits than fixed ones, and small breeds more than larger ones. Females have also been known to mark, but it’s far less common. Do not yell or hit your dog, it is never an answer to any issue. If you come home and find he’s been busy, just clean it up. There’s nothing to say after the fact. Check up time. The first thing you should always do when you notice a change in your dog’s behaviour, is to take him to the vet for a check up. You want to rule out medical issues before anything. Neuter your dog. Although it’s not a guarantee, it’s a great start, and should be done anyway! Here’s my opportunity to lecture about the importance of spaying and neutering, in order to prevent unwanted litters. Don’t say the litters are wanted! Before you start to allow your animals to breed for profit, walk into any animal shelter and see them overflowing with abandoned animals. Keep objects out of reach. If he likes to mark visitors’ belongings, or new items you’ve just bought, keep them out of reach. Catch him in the act. You have a great chance of your dog learning that it’s not okay, if you catch him in the act. My new dog started marking when we first brought him home (something I’ve never experienced before). After catching him a few times and saying “no” like I meant it (and I most certainly did! ), he stopped. I admit he did it one more time recently, but since then it’s all good. He was recently rescued from being abandoned in an empty house, fur overgrown and matted, barking incessantly when left alone. He obviously has confidence and abandonment issues, so with me showing him who is in control (not him, that’s for sure! ), routine and consistency he’s getting better, and seems to be over marking. Change your route. Why not take him to explore different areas on your walks, giving him lots of opportunity to mark plenty of new objects. Introduce the newcomer. If your dog is letting you know he’s anxious or stressed about the new face in the house, introduce them and let them get to know each other. Treats or toys are great ice breakers. If your dog has his own spot, keep the newbie out of there until they’re on good terms. Keep them separated if you have to when no one is around, just until they’re getting along. Watch for signs and make some noise. Look for signs he’s about to lift his leg, he could be showing a bit too much interest in an item or area, or sniffing in one spot then say “no” or whatever word you choose. A noisemaker made out of coins or pebbles in a can, is a great distraction tool. It will startle him, and interrupt what he’s doing. Praise. When your dog pees/marks outside, praise him, a lot, and give him treats or toys (whatever motivates him). You want him to learn rewards are high for doing the “right” thing. What’s your dog’s marking behaviour. Does he pee on his bed, or your other dog’s bed if left alone too long? Pick the bed up off the floor next time you go out, and see if that makes a difference. Clean. Any area your dog peed in, must be thoroughly cleaned, and odours eliminated. Masking them isn’t enough, because your dog can still smell them. Use a good enzymatic cleaner to get the job done. Separation anxiety. Dogs that suffer from separation anxiety may pee from anxiety, or lack of confidence. See my article on treating separation anxiety for tips that may help. Be the one in charge. You need to set boundaries, train him, create structure and routine. This goes a long way to reducing anxiety. Confinement. Some dogs may never be trusted, and since it’s impossible to watch him 24 hours a day, your best bet may be to limit his free run access of the house. Confining him to smaller areas with baby gates and barricades when no one is around, is a good solution. If he marks in my house, will he mark in every house? It is entirely possible, especially if they also have pets. Either leave him at home so you can relax and have fun or, if you really want to bring him, keep him on a leash so you can monitor him. If you have a dog that urine marks, believe me I know how you feel! I do hope you found the information on how to stop dogs from marking in the house helpful, and you will see an end, or at least a significant decrease in this behaviour. Oh yes, great to always get in there about fixing your pets, it made me giggle and think about my sister always managing to tell people to neuter their animals any gap she gets hahahaa… nice one. 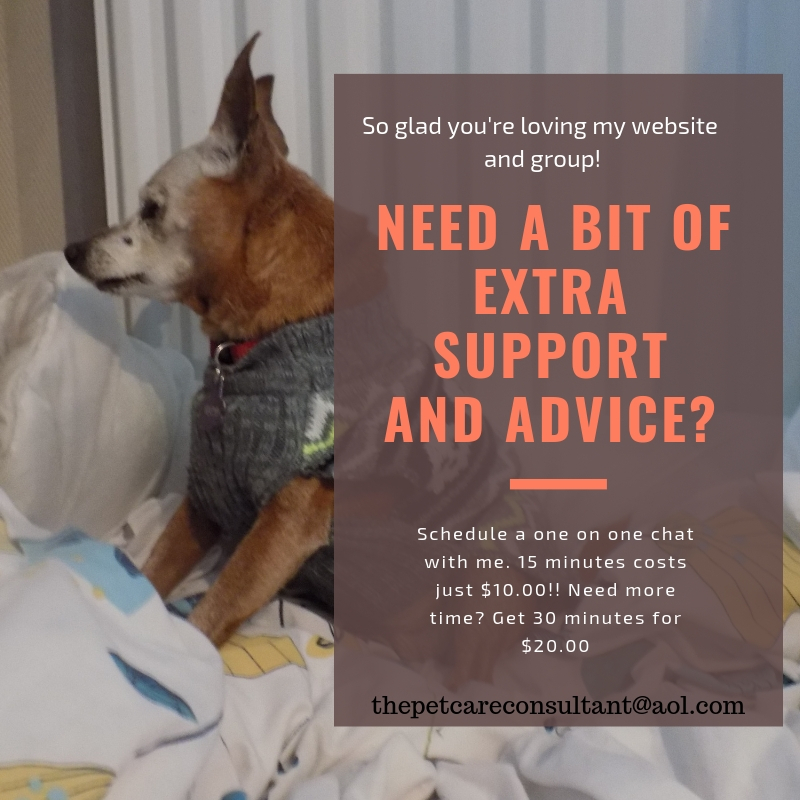 I love the information and tips you have shared here, I can certainly see that these pointers come from a place of care and love for animals. A lot of thought has gone into this. Something my mom did with our pets when they urinated in the house (but this was when we were house training them not marking problems) was to take them to the place they urinated and let them smell it and then tell them NO. This is was when we didn’t catch them in the act. I’m not sure if this is right or wrong as your guidelines state just to clean it up if you don’t catch them at it? What is your take on that? Hi Lynne, I’ with your sister on that. I do the same thing every chance I get, I can’t help it!! Taking them back to where they peed and saying no means absolutely nothing to them. They can’t associate a past act to what you’re trying to tell them now. Clean it up then carry on housetraining. In the “olden” days you were told to rub your dog’s nose in it. It did nothing but scare the dog. He learns by you showing him what is acceptable behaviour, and ignoring the unacceptable, unless you’re there to witness it and then you can tell him off, or get down or whatever he’s doing that he shouldn’t be doing. Part of the joys of animal ownership right? Just shows the importance of getting your pet fixed as it tends to help with problems like these. Did you have any suggestions on the best way to clean up after these “Incidents”? Hello James, thank you for your comment. It’s true that fixing your dog does help, the most important reason for spaying and neutering all pets is to help reduce animal over population. The best thing is to find a good enzymatic cleaner that gets rid of not only the stain but the odour as well. I really loved your article and all the information you provided on dogs who mark their territory within your house. I had a question or two as I was reading but quickly found my answer in the next paragraph. Don’t usually mark to claim their territory or a stake out their territory, so I was glad to see you had information about how to deal with a newcomer in your house and the problems that might arise with your dog marking his territory. We have one dog in our house, the rest are cats. We go through this same scenario with the cats. When there is a hierarchy war going on between them we have to spy on their every move and watch for the signs. We use noise makers to stop the unwanted behavior just like you suggest you. It works great. What a great comprehensive article. Very useful. Thanks very much Debra, and I’m happy to hear I wrote so much information all your questions were answered!! For the first time I have a dog who urine marks, although it is under control thankfully!! My two male dogs ( 10 years and 7 months) were marking all over my house. I separated them for 6 days keeping them in the same house but kept one in a kennel and one out and the marking stopped !! So glad to hear it worked! !